3.What Is Your First Single ? – Or What Single Do You Have Out Now? . 4.Who Do You Have On Your Album ?. My Album is not out yet. let us be great coming soon…. 6.Where Were You Born ? it’s not one artist in the industry I wouldn’t work with . Platinum Givenchy is versatile I love all type of music .rap r&b pop jazz soul reggae reggaeton techno and much more. However I’m planning to feature my nephew’s) berv) ,primo escobar). I don’t have a favorite rapper it’s to many talented music artists out there right now to choose. 10.Who Do You Think Is The Hottest Producer Out ? – What Would You Say To That Producer On Why They Should Work With You? In my opinion with all the great producers out there Releasing such good music its kind of hard to just pick one. just know I will work with anyone one of them. 11.What Is Your Writing Process ? It’s just naturally organic . I believe in greatness hard work and dedication . 14.Which Song On Your Album Means The Most Too You ? Want more – because you can’t never have enough. 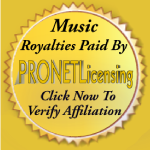 Right now I’am a unsigned artist thats looking to get discover. No album just yet still waiting to get sign .But my mix tape will be out the end of june. All the ones who they thought wouldn’t make it and did . Has inspired me to press forward to be great. 23.What Were You Thinking About When Your Songs Are Developed? It all depends on the beat and what state of mind I’m in at that time in my life. Knowing I have what it takes to make real soulful rap music inspire me to take the next step . 26.How Does Your Family Feel About Your Music And Your Choice Of Career? The rich the poor and middle class) my music was strongly design for people who what more…….. Because you can never have enough..
31.What Is Your Goal And Height That You Want To Reach With Your music? I wasn’t much of a fan of the Davinchi Code, probably because of my longstanding unjustified contempt for Tom Hanks, but Platinum Givenchy’s latest track Davinchi is a tight Soulful Rap Hip Hop mix that you really can’t fault. The Tampa, Florida emerging urban artist is making waves with his pioneeringly upbeat sounds that he’s putting out for Rap fans on the soundwaves. The clean cut Trap beat is a riddle of complex layers that make this a pretty subversive track that’s all too easy to slip into, It’s the perfect balance of high-vibe synergetic beats, unfathomably smooth lyrical flow and genius lyrics penned by the singer songwriter and producer. Another absolutely astounding track by the fresh new artist is ‘Gotta Get To The Money’ which uses the beat to the timeless classic ‘Take My Breath Away’ by Berlin, the track breathes new life into the iconic hit and it’s something that Pop & Hip Hop aficionados alike don’t want to miss out on.